Rakeysh Omprakash Mehra in Mumbai. 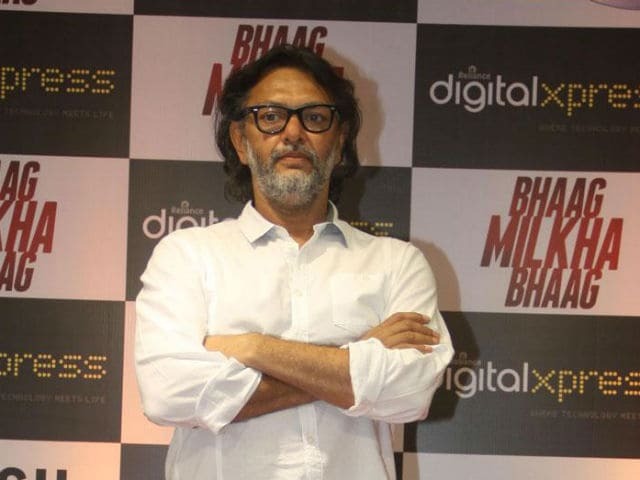 Director Rakeysh Omprakash Mehra who was present at the Powerbrand - Film journalist and Filmmaker Award by Planman Media has said some awards have been muscled down to a TV show. The Delhi 6 director was asked on Monday if he thought awards were fake, they could be bought or they were genuine appreciation for work done. Rakeysh said, "You don't have to get so serious about these things. Appreciation is always very good no matter where they came from. Today here, it came from film journalists. Unfortunately, a lot of awards today are being sponsored by big companies and TV channels, so somewhere down the line, they have been muscled down to a TV show rather than purely an award function." "Having said that, for me the love we get from the audience and the media is the biggest award that there is." Speaking about the Power Award, Rakeysh said, "This is their first year. I don't really understand power but I believe that power is what comes from mind and thought. But it feels great to be appreciated especially because the awardees were chosen by film journalists." On his upcoming project Fanney Khan, the director said: "It's a movie I am producing. Divya Dutta is also a part of 'Fanney', and it's always a pleasure working with her." The movie is directed by debutant director Atul Manjrekar and it is his dream and his vision, said Rakeysh, "I am supporting it." "We have a great cast and it is a dream film for me. The music is by Amit Trivedi and Irshad Kamil and I am absolutely dawning a producer's hat with such a wonderful team," he said. Fanney Khan is a musical comedy which features Anil Kapoor, Aishwarya Rai Bachchan and Rajkummar Rao in lead roles. Anil, who had earlier featured with Aishwarya in Taal, will appear together on screen after 17 long years. Produced by Rakeysh Omprakash Mehra, KriArj Entertainment and T-Series Fanney Khan is the official remake of Oscar nominated Dutch film from 2000 Everybody's Famous!. It is scheduled for a worldwide release in April 2018.